Elastic is a stretchy and narrow fabric made with a flexible substance. It is manufactured by weaving, knitting or braiding together strands of rubber, latex or other pliable material that can be stretched and return to its original shape. 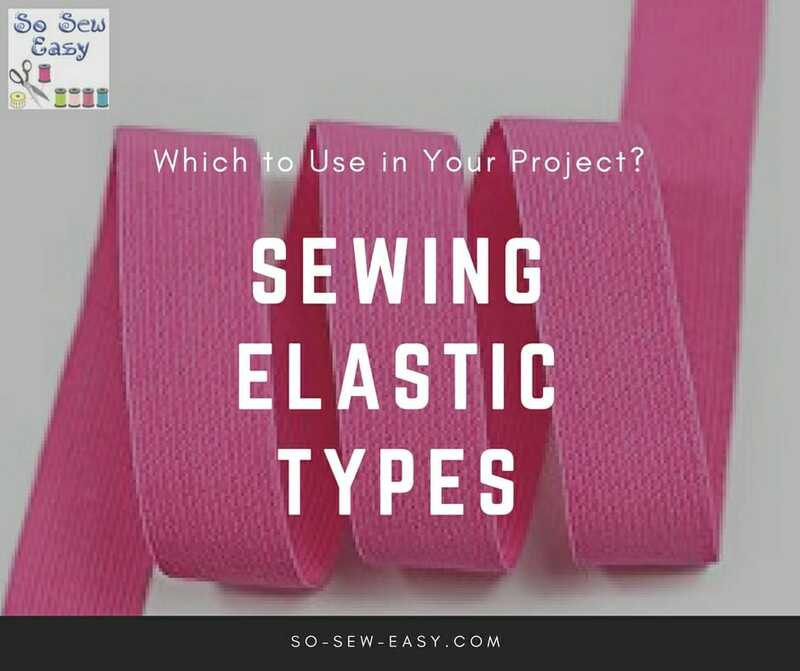 Because of the different types available, it is essential for you to know which type of elastic is right for your project. Braided elastic, the cheapest type of elastic, narrows when stretched and is lightweight. If you think your project will get heavy use, then it is better to use braided elastic because it has a longer life expectancy than other types of elastics. It is mostly used in casings but it is not recommended to be sewn directly to your fabric because it will lose its stretch over time. If you prefer a soft kind of elastic, knit elastic is a perfect choice! Aside from being soft, it is also comfortable to use. Knit elastic is shrink-resistant and does not narrow when stretched. It can be used in a casing or can be sewn directly to the fabric without losing its stretch. It is an excellent choice for your wash-and-wear project. An example for this is your pajama pants. Another type of elastic which is stronger than braided and knit elastic is the woven elastic. It is the thickest kind elastic that does not narrow when stretched, thus, making it an excellent choice when sewing heavy-weight projects. Woven elastic will retain the stretch when sewn directly onto fabric. It is also suitable for casings. Fold over elastic (also called FOE) is a flat, thin elastic that has a line along the center that makes it easier to be folded in half. It is used to finish edges on stretch fabrics or garments just like the athletic apparel or swimsuits. FOE is typically used for making undies, baby diaper and can be an alternative for finishing necklines. It comes in varieties of colors and unique patterns so you can choose which one is suitable for your desired project. It does not narrow when stretched. There are other types of elastic, too, such as swimwear elastic, baby elastic, clear elastic, buttonhole elastic, elastic thread and even drawstring elastic. We will cover these in a later article but I just wanted to introduce you to the basics now. Good information to have. I have all sorts of elastic but never quite sure which would work best in a particular situation, unless pattern asked for a specific type. Thanks. Looking forward to part two, where you cover the rest. I have been sewing for 50 years and I learned more today about elastic and which types can be sew on. Love it!